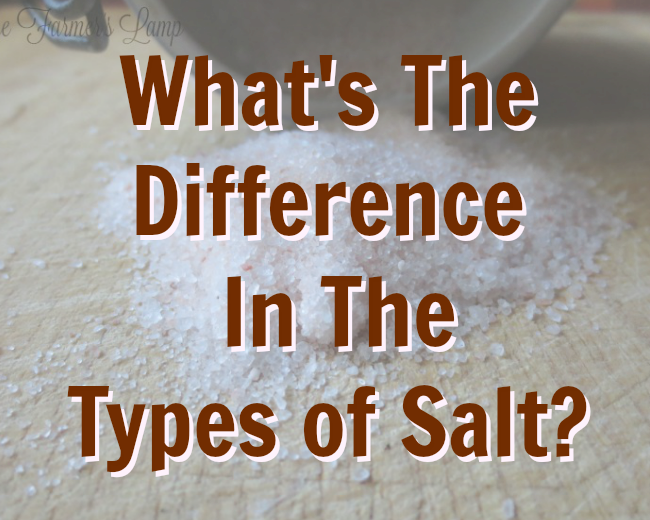 What’s The Difference In Types of Salt? In the media filled world we live in, it can be hard to find a true answer to this question. One source will say refined table salt is fine as long as you don’t over-indulge. Another will point to research and history revealing the health benefits of real salt. All types of salt are not the same, that’s a fact. 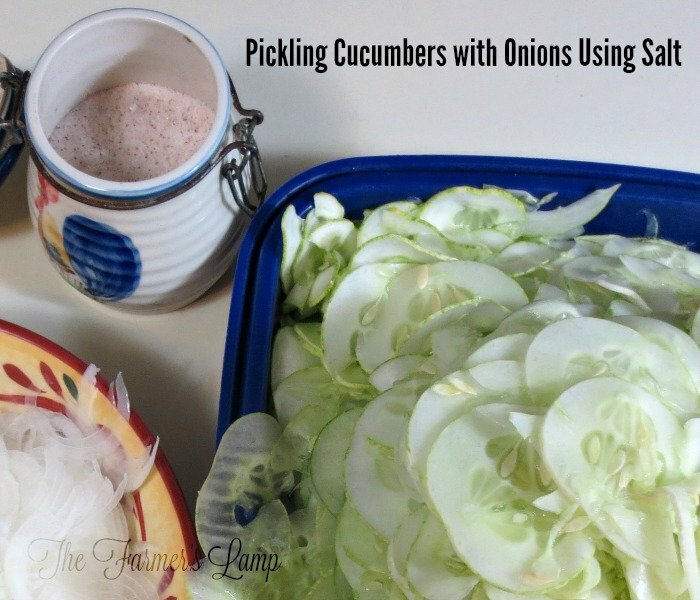 The best health for your family and homestead is a major concern for you. If you’re like I was, you’re wondering if the one you choose makes a difference? The short answer is yes, it does. When someone says the word “salt”, what’s the first thing you think of? Refined table salt? Rock salt? Sea Salt? I’m willing to bet it’s the white stuff found in salt shakers on the table of American homes across the land. But that’s not salt. It’s kinda like the word “coke.” It’s become synonymous with soda pop around the world. In almost any country you can say this word and get a soda of some kind. And No, we don’t drink this poison but that’s the choice we’ve made. Now, back to salt. So if the white stuff sold to us in our local grocery stores isn’t salt, what is it? The story starts in a factory somewhere in the U.S. Since the U.S. is the largest producer of what we’ll call “table salt,” you’ve probably seen one of these factories or even live near one. Sadly, table salt starts out as real salt. It’s dug from the earth or retrieved from the sea but then begins a demineralizing process which is astounding. It begins with heat processing to strip away vital nutrients and minerals. Next, it receives a bleach bath and anti-caking agents are added. Now it will have iodine added or be reserved as non-iodized depending on what the factory is making that day. During all this process, what started out as healthy salt is now chemically decomposed, altered and then recombined as NaCL or sodium chloride. So what happens to the minerals stripped from the salt by these destructive processes? They’re sold to companies to be made into mineral supplements. Hmm…. The finished product, known to you as table salt, doesn’t look or act like salt anymore. Some 93% of this refined salt is sold to businesses which need chemically pure sodium chloride to make their products. Products like fertilizers, chlorine gas, explosives, and plastics. The rest is sold as table salt. Now that’s a scary group to be among, I think. In our disease-ridden country, salt has been made the bad guy. It’s blamed for many of our epidemic diseases. This isn’t fair of course because of the different types of salt. If we take only a brief look at history, we’ll see real salt has been used for its health benefits throughout the ages. Trace minerals found only in real salt are necessary to the body for proper function. These same minerals are found in your make up in great likeness. In the old days, a salt shelf was created inside the hearth of the fireplace. Stones or bricks would be left out in the building of the fireplace to create a space to be used as a shelf to keep the salt container. Heat from the stones kept the salt dry which prevented it from caking. I would suppose it goes without saying, but for the sake of clarity, I’ll tell you the salt they had was real salt. It was either dug from the earth, kosher salt, or taken from the sea, sea salt. Sea salt is washed into the sea from the earth so technically I guess you could say it all comes from underground at some point on its journey. There is a constant draining of salt into the sea which is why they become saltier every year. Did you know, if you add 2 teaspoons of real salt to a quart of lukewarm water and thoroughly dissolve it before drinking, your body will think it’s blood. This solution is the same density of blood. It may vary a minuscule amount one way or the other but virtually immeasurable. This solution is known as a colon wash. Because your body won’t absorb it, it’s diverted straight into the intestines giving them a wash as it passes through taking deadly toxins with it as it leaves the body. We use this wash when we’re on a cleanse. It’s an effective and quick way to rid the body of deadly toxins. I do mean quickly too. Within 30 minutes to 1 and 1/2 hours it will wash out of you. 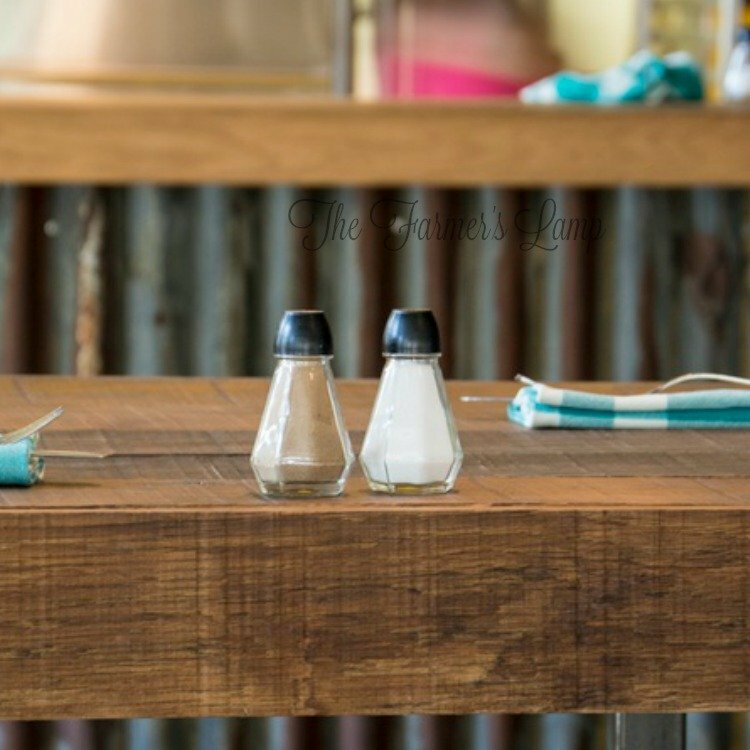 Two of the primary trace minerals found in real salt are potassium and magnesium. Both of these aid your body in metabolizing sodium. They also work together to regulate your body’s water balance and meet the needs of the nervous and muscular systems, including your heart. The World Health Assembly came up with the idea of universal salt iodination in 1995. They seem to have believed this would be the solution to what they saw as iodine deficiency diseases and disorders. In our country, all table salt not iodized must come with a warning label according to the FDA. Because iodine is widely available in foods like eggs, cereal grains, kelp, legumes, and of course fish and shellfish, most people aren’t at risk for low iodine levels. The problem, like most of our health problems here in the U.S., can be traced back to poor farming practices stripping the land of nutrients and GMOs. If you grow food in poor soil, it will lack vital nutrients. Commercial over fertilization has created a desolate soil situation in the U.S. Mandatory medication through iodized salt has resulted in people around the globe experiencing iodine overload. The thyroid gland stores up to 75% of the body’s iodine. This has led to an epidemic of thyroid disease due to imbalance. Metabolic and immune disorders are leading the way in this arena. In ever increasing numbers, hyperthyroidism and thyroiditis are being seen in the U.S. Which, incidentally, has the largest intake of iodized table salt in the world. Some of the symptoms of these include increased heart rate, abnormal heart rhythms, high blood pressure, nervousness, excessive sweating, tremors of the hands and feet, difficulty sleeping, and anxiety. Real salt does not act like this in the blood stream. 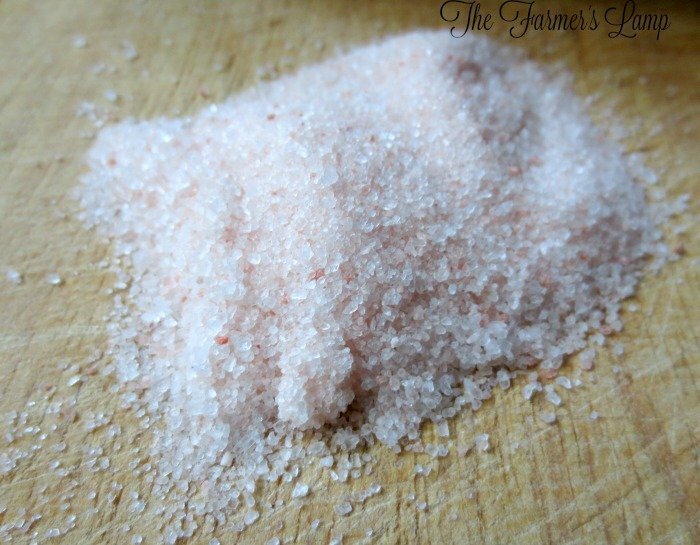 Himalayan salt, unrefined kosher or sea salt – these are real salt. These contain over 90 trace minerals and other nutrients the body needs to be healthy. The facts are simple. For centuries, our ancestors have been consuming salt to maintain health, for preserving food, for home remedies, and for personal care. Obviously, there is a difference in the types of salt. Many people are concerned about the toxicity of the oceans and seas in light of the increasing radiation and other poisons being found in them. This does affect the quality of sea salt, but it can be argued that because of the water cycle on earth even underground salt can be contaminated. In our toxic world it is impossible to escape every risk. We can’t live in fear of everything. We aren’t meant to. All we can do is make the best choices we can. Personally, this is why we cleanse our bodies twice a year. If you find a company who regularly tests their salt for contamination and you can feel you trust them, feel confident in your decision. What salt do we use? Himalayan salt. I encourage you to do your own research, make the best decision you can for yourself and your family and live! Enjoy this short journey. Here’s an excellent video for you on how important it is to know the difference in the types of salt.